On Tuesday evening I had the opportunity to visit and speak with the 2011 CAA Conference champions about reclaiming the CAA title, their season, and their hopes for the big dance in Philly next week. With midterms and other responsibilities not all of the wrestlers were available, yet I was able to speak with CAA runner-ups Steven Bonanno and PJ Gillespie; Champions Ben Clymer and Paul Snyder; and Assistant Coach and now head coach Rob Anspach. Given the time when I was available and the juggling act we all do with, Tom Shifflet was unable to make it, but I have posted an interview that Tom did with Scott Casber of TDR. Upon the end of every season, it greets with sweet sorrow as the seniors we’ve come to warmly embrace and hold dear will adorn the Pride singlet for the very last time. I believe I can speak for every Pride fan when I say that you made us all proud to say that we are Hofstra Pride Wrestling fans. There were so many memorable moments. Lou Ruggirello, you will always be remembered as the lean, mean pinning machine. You could feel the uneasiness in every top wrestler who entered the circle with you in the Mack Center. Ryan Patrovich, your gutsy hard-nosed style delivered intensity and excitement in every bout. Thanks for the fond memories, and we’re all in your corner next week in Philly. It is sad to learn of Coach Tom Shifflet’s parting upon the end of the season. Shifflet’s first season with the Pride was the most exciting ever in Pride history. To witness the Pride defeat a number of top 10 ranked dual meet teams and finally place 7th at NCAA was amazing. Who would have thought it was possible to take on the nation’s best and reign victorious. But what impressed me most was his perseverance after a difficult season in 2009-10 when the Pride’s stranglehold on the CAA conference was broken. He didn’t let on to how disappointed he was, but instead went straight to the business of reclaiming the title. And you did it in spite of all the challenges that could have derailed the goal again. Congratulations coach. You’re a champion and leader in my eyes. And I’m sure I can say on behalf of all the fans that you will be missed, and we wish you and your family tremendous happiness and success in your new journey. Thank you for the memories, your dedication, and commitment to excellence. Here are the interviews. Enjoy. I have some casual conversation with the wrestlers where they talk about their college wresting experiences. I will be posting shortly, so come back. Congratulations 2011 CAA Champions. We wish you success in Philly. 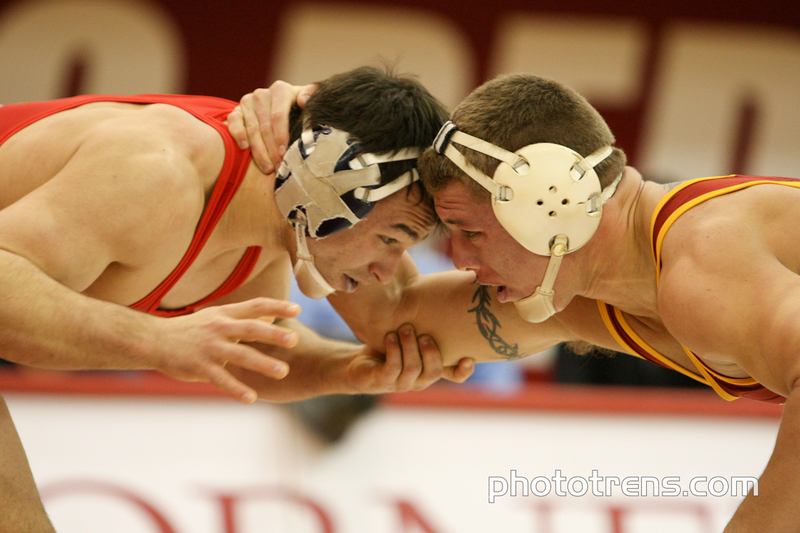 Replay of the Iowa State vs Cornell Dual Meet at Cornell’s Newman Arena in Ithaca. Watch the feature match of the afternoon when No 3 Mack Lewnes battles No. 1 Jon Reader of Iowa State. Big Red coach Rob Koll reviews the team after the Iowa State University dual meet. In a season with few dramatic outcomes, fans at Wantagh’s Tom Ryan Duals cheered from the edges of their seats as the dual between the Wantagh Warriors and Hauppauge Eagles was decided in the final bout at 96 pounds. Brooklyn Tech wins the battle for New York City Class A dual meet supremecy with a decisive victory over Grand Street, 43-24. 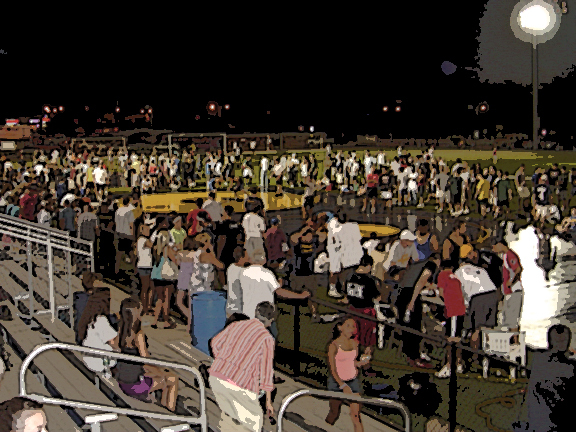 Post game interviews with players and coaches after the Plainedge vs Wantagh Dual meet at Wantagh High School. Replay of Lighthouse Wrestling Day One webcast. Kerry McCoy and Vincent Zuaro spoke at the Hofstra University brunch just before the dual meet. Here are the videos of those talks. Kerry McCoy and Vincent Zuaro spoke at the Hofstra University brunch just before the dual meet. Here are the videos of those talks. I was experiencing some technical difficulties that prevented me from posting these sooner. Be sure to open the full story (click on the title) to watch all the speeches. McCoy’s speech is in one part and Zuaro’s is in 3 parts. Highlight clips of the Pride Dual meet vs Maryland Terrapins on Saturday December 12. Lighthouse Wrestling visited the Long Beach grapplers at their practice over the Thanksgiving Holiday. We taped their practice, interviewed coaches and athletes, and compiled it into this short movie. Enjoy! If you’re watching this from the homepage, be sure to open the full story up to see the additonal coverage. In one interview we ask Dylan Palacio and his father about the semifinal bout at states, and in the final video, we do the Tour of the Champions. Take a look inside BTS and PSAL in our 8 minute documentary. They’re aiming to make some noise in 2010-11. Watch what they have going on. A couple of weeks back, LHW visited the BTS training center at 145 Thompson Street in Manhattan. As I was walking downtown from my 16th Street office, I felt the 2010-11 season approaching in my bones. A gray sky, a chill in the air, and darkness settling in early sent me back to my walks home after high school practice. All that was missing was my wet hair turning to ice. And once I got there, it was just like I remembered: lots of athletes, music blasting, fooling around, basketball, rolling out the mats, and then about 2 hours of practice. PSAL has it. The culture is there, and before long, the results will be there to match. Take a look inside BTS and PSAL in our 8 minute documentary. They’re aiming to make some noise in 2010-11. Watch what they have going on. The Pride is Back !!! Mark your Calendar for October 28th to watch New York’s Top High School Alumni wrestle-off for a starting postion on the Hofstra Pride. Mark your Calendar for October 28th to watch New York’s Top High School Alumni wrestle-off for a starting postion on the Hofstra Pride. Clinic begins at 6:30. Wrestle-off starts promptly at 7:30pm at the PFC. Author Bill MillerPosted on Sun, 09/26/10 Fri, 10/29/10 Categories Hofstra, VideoTags Hofstra, Interview, Pre-season workout1 Comment on The Pride is Back !!! Interviews with various participants at the FNL tournament. 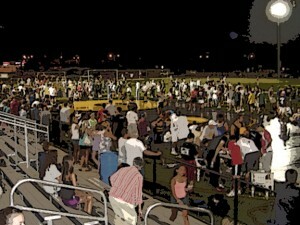 The Friends of Massapequa wrestling held a very successful 2nd annual Friday Night Lights tournament. Athletes from near and far, from yesteryear to this year participated in a festive tournament where winning was secondary to oiling up the joints, trying out some new moves, and meeting up with old friends. The Beat the Streets Gala on May 13, 2010 featured 7 exhibition matches. Open this story to watch the video of each of the evening’s matches. Zeke Jones and Brandon Slay close out Beat the Streets freestyle day with a talk and a Q&A session with the attendees. Zeke Jones and Brandon Slay close out Beat the Streets freestyle day with a talk and a Q&A session with the attendees. Watch the video of the closing session. Watch USA Wrestling interviews with Kyle Dake, Rob Koll, Cam Simaz, Mack Lewnes, and Justin Lister. Marty’s NCAA Wrestling Tournament analysis like only Marty can give it. Marty invited us to watch the 2010 semifinals at his favorite sport bar, Instant Replay, in Huntington. We couldn’t miss the opportunity to capture Marty’s pre an post analysis and share it with all of you. So here it is. Marty’s NCAA Wrestling Tournament analysis like only Marty can give it. During the finals webcast coaches Rick Gumble, Chris Messina, and TJ Brocking sat with us and talked about the season. Previously recorded video of the 2010 New York State, High School Wrestling Championships, Division 1 finals from weights 160lbs through 285lbs. Previously recorded video of the 2010 New York State, High School Wrestling Championships, Division 1 finals from weights 130lbs through 152lbs. Previously recorded video of the 2010 New York State, High School Wrestling Championships, Division 1 finals from weights 130lbs through 152lbs. Will have the next five weights up tomorrow.